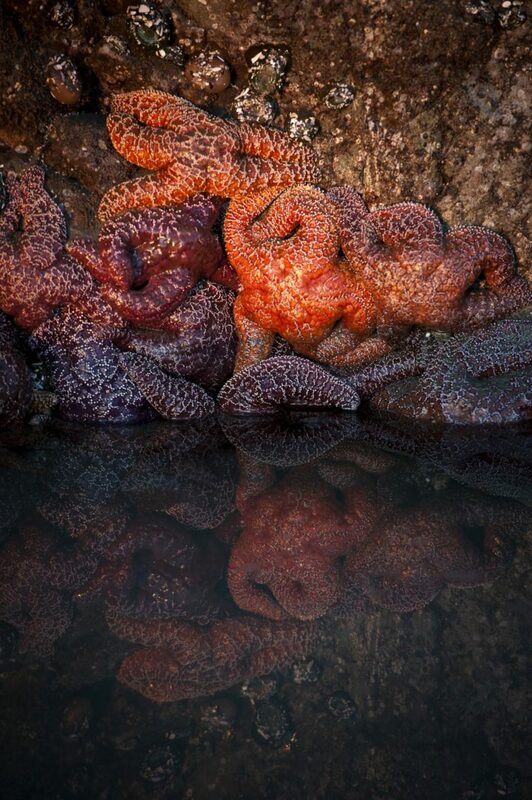 Settle in for a true experience of the West Coast! 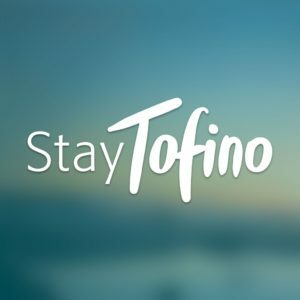 Stay Tofino offers a wide selection of Vacation Rental properties, ranging from affordable cabins and suites to luxury waterfront condos and beach homes. 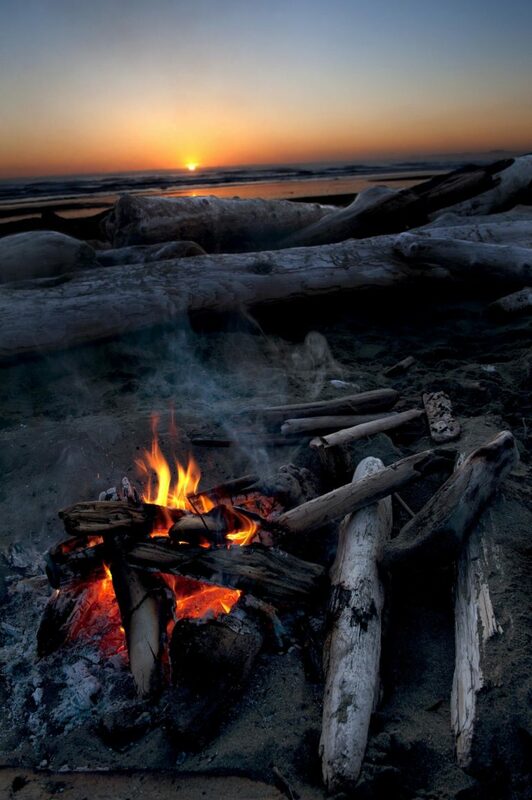 Check us out if you’re looking for that perfect place to stay while visiting Tofino and the West Coast. Ray of Sunshine – Newly built, 2 bedroom, custom designed cabin. Perfect for a romantic getaway or family vacation. 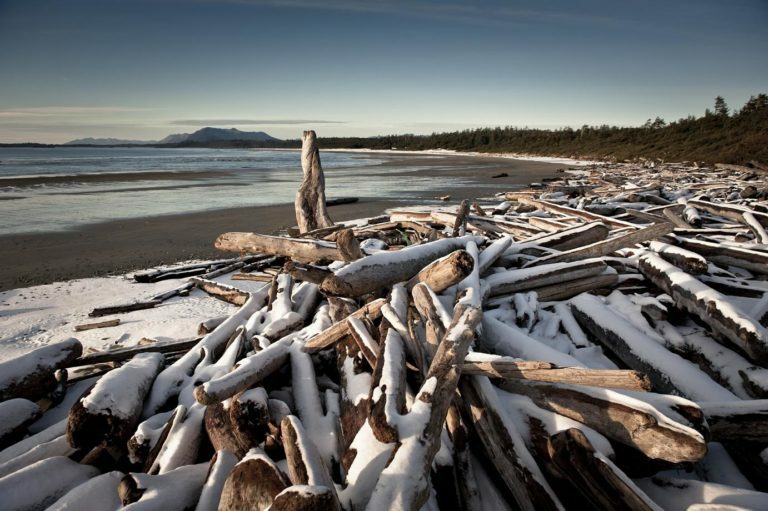 Surfers and beachcombers will love that the cabin is a 12-minute walk to Chesterman Beach. There’s also an outdoor hot shower and covered back deck with a private hot tub and BBQ. Sleeps 2-6 guests. Tapasya – A contemporary, tastefully furnished suite, and just a 3 minute walk to Chesterman Beach. Located on a private forested lot in a residential neighborhood, Tapasya features heated concrete floors, full kitchen, large master bedroom with king bed, and a comfortable queen size sofa bed in the living room. Sleeps 2-4 guests. Cedar Surf – Rustic 3 bedroom home, offering 2 queen beds and 2 twin beds. Featuring an open concept living room, post and beam construction, with large windows and skylights to allow for lots of natural light. Perfect for family gatherings. Sleeps 2-6 guests. Cedar Nook – Enjoy fabulous ocean and mountain views from the hammock or deck chairs. This bright, 2 bedroom suite is an ideal family rental. 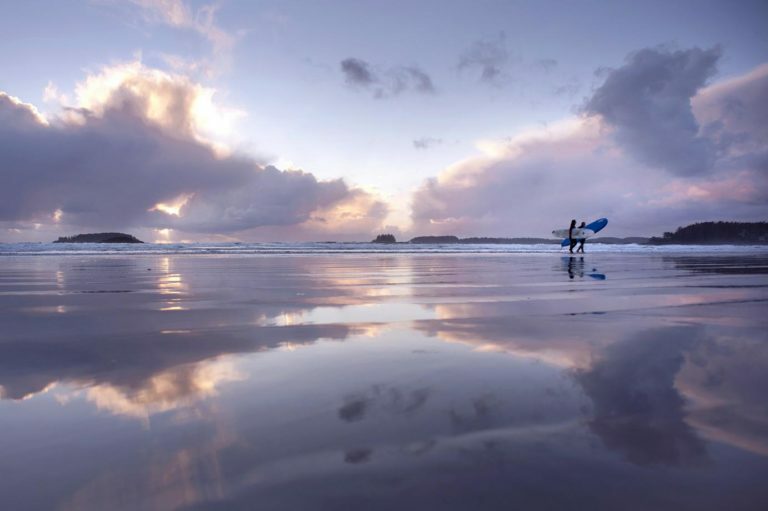 Within easy walking distance to Tofino for shopping and dining, and only a short drive to Tofino’s beaches for surfing and beachcombing. Sleeps 2-4 guests. Sunset Loft – Spectacular summer sunsets and harbour views from this top floor waterfront loft. This property is conveniently located close to downtown in the Fred Tibbs building, within walking distance to shops, restaurants, and galleries. It features an open floor plan with vaulted ceilings, a propane fireplace, a fully appointed kitchen and a private balcony which boasts stunning views of Clayoquot Sound. Sleeps 2-4 guests. 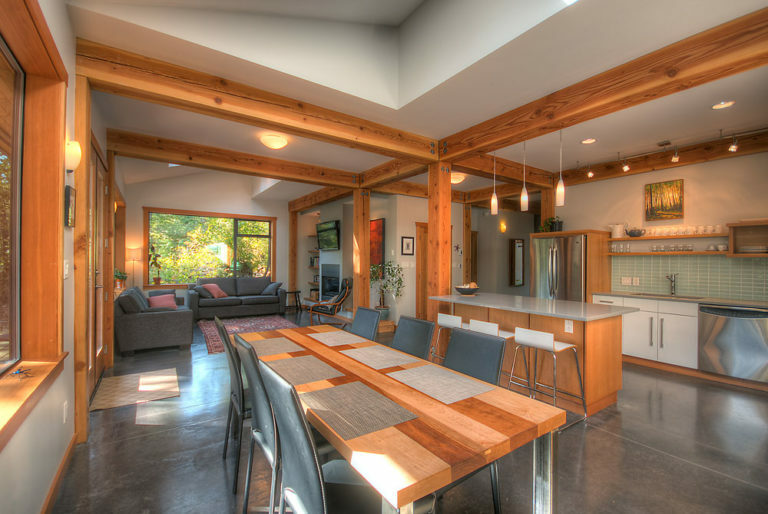 Tsuga – This luxury 3 bedroom house features post and beam architecture, vaulted ceilings, and an open concept design. Large windows and skylights maximize natural light and offer gorgeous forested view. 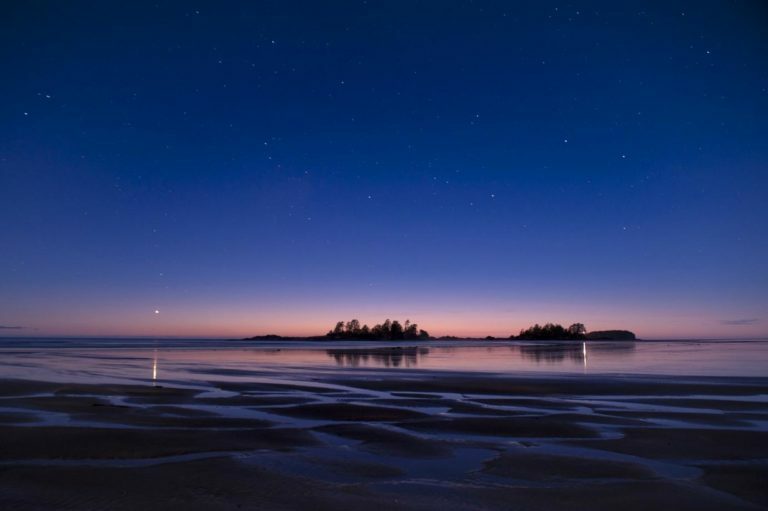 Less than a 5 minute walk to South Chesterman Beach. Sleeps 2-8 guests. 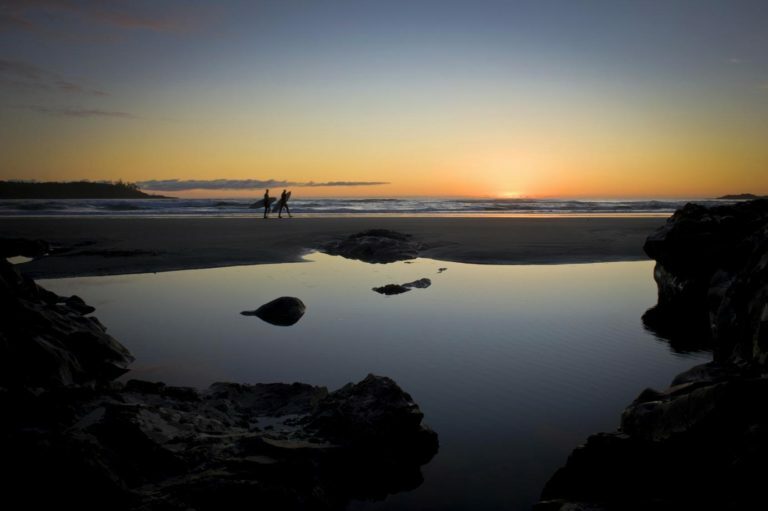 Cedar Sands – Walk or ride your bike to the surf from this 3 bedroom house with a hot tub, located across from Cox Bay. Featuring an upstairs loft bedroom with a queen bed, 2 separate bedrooms on the main level, open concept living room and a fully appointed kitchen. Ideal for a surf retreat or family gathering. Sleeps 2-6 guests. 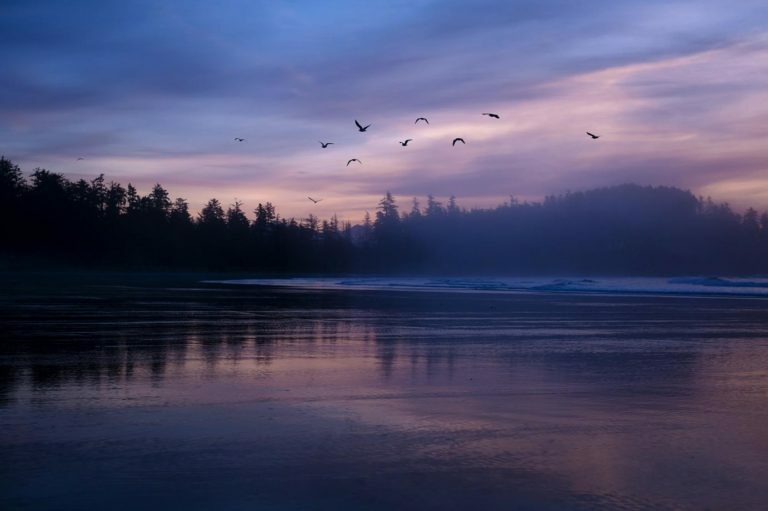 Chesterman Beach Guest House – This large three bedroom suite is just a 5 minute walk from North Chesterman Beach. Previously rented as two separate units, which are now combined, it offers 2 full kitchens, an upstairs master bedroom with a queen bed, a second bedroom downstairs with a queen bed, and two twin beds in the third bedroom. Sleeps 2-6+ guests. Cox Bay Cabin – Located across from Cox Bay, this West Coast cabin offers a comfortable loft style master room with a queen size bed and its own full bathroom.. On the main floor, the second bedroom has two twin beds which can easily be converted into a king size bed to suit your needs. Sleeps 2-6 guests. Cozy Curlew – Newly built, custom designed one bedroom cottage located in a tranquil forest setting. The bedroom features a king bed and has a large set of French doors that lead directly to your own private hot tub and outdoor shower. A beautiful propane fireplace is the focal point in the dining and living area, which also features a custom queen sofa bed. This is one of the few properties located across from Cox Bay beach, just a 5 minute walk away. Sleeps 2-4 guests. Cypre House Suite – The Cypre House Suite is a newly renovated 3 bedroom unit located near town, within easy walking distance to restaurants and shops. The large master bedroom has a king bed with an en-suite bathroom, and each of the other two bedrooms have queen beds. Sleeps 2-6 guests. 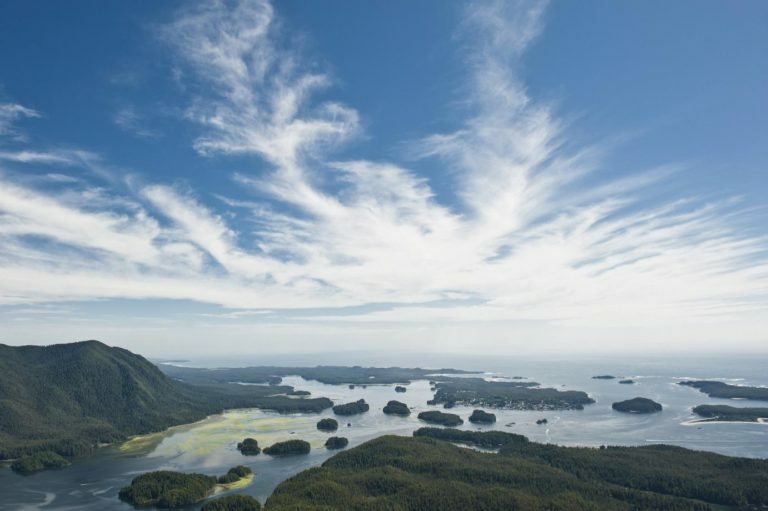 Moon Shadow – Enjoy unobstructed views of Clayoquot Sound from this tastefully decorated waterfront condo. Moon Shadow is a two Bedroom corner unit on the second floor of the Eik Landing Condos. The main bedroom features a king bed, en-suite 1/2 bath, and an amazing view. The 2nd bedroom features a queen bed. There’s a cozy propane fireplace in the living room, and a sofa-bed for an optional 5th guest. Located close to town, within walking distance to restaurants, boutiques and galleries. Sleeps 2-5 guests. Raven’s Retreat – Stunning inlet views surround this beautiful one bedroom condo located on the ground floor of the Eik Landing Condos.The open concept kitchen/living/dining area features a cozy propane fireplace and boasts spectacular views of Clayoquot Sound. The bedroom offers a queen bed and has its own access to the deck. There’s also a double sofa-bed in the living room. Located close to town, within walking distance to restaurants, boutiques and galleries. Sleeps 2-4 guests. The Nook – Just a ten minute walk to Mackenzie Beach, this 2 level suite offers the perfect beach retreat. The main floor is open concept and features a living room with seating area, and a kitchen with a mini fridge and a two burner hotplate. The upstairs loft bedroom has a queen bed and an ensuite bathroom. Sleeps 2-4 guests. Portofino – Enjoy harbor views and watch the summer sunsets from the patio of this waterfront, ground floor, studio condo. 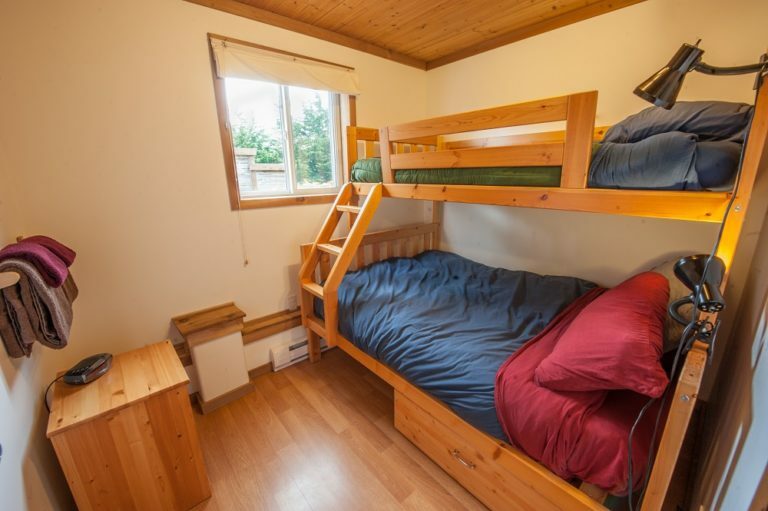 This property is located in the Fred Tibbs building, close to downtown Tofino. It features an open floor plan with a queen bed, a propane fireplace, a fully appointed kitchen, and a pull-out sofa that converts in to 2 twin beds. Sleeps 2-4 guests. Salt – Contemporary West Coast home with panoramic harbour and mountain views. Upstairs is a huge master with a queen bed, walk in closet, ensuite bathroom, double sided fireplace, and private patio. Down one level are two spacious bedrooms joined by a full shared bathroom. The main floor is an open concept living/dining kitchen area, and features a double-sided fireplace and a fully appointed kitchen with a custom wood fired pizza oven. Sleeps 2-8 guests. The Tideline – Spectacular summer sunsets and harbour views from this top floor waterfront loft. This property is conveniently located close to downtown in the Fred Tibbs building, within walking distance to shops, restaurants, and galleries. 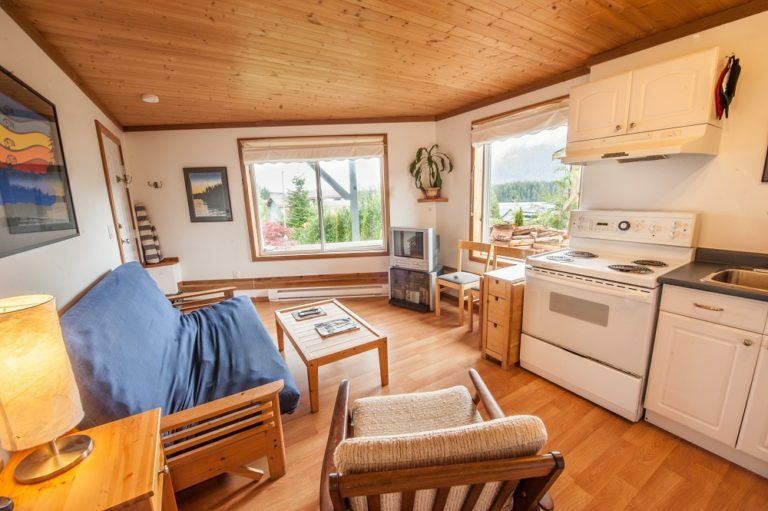 It features an open floor plan with vaulted ceilings, a propane fireplace, a fully appointed kitchen and a private balcony which boasts stunning views of Clayoquot Sound. Sleeps 2-4 guests. 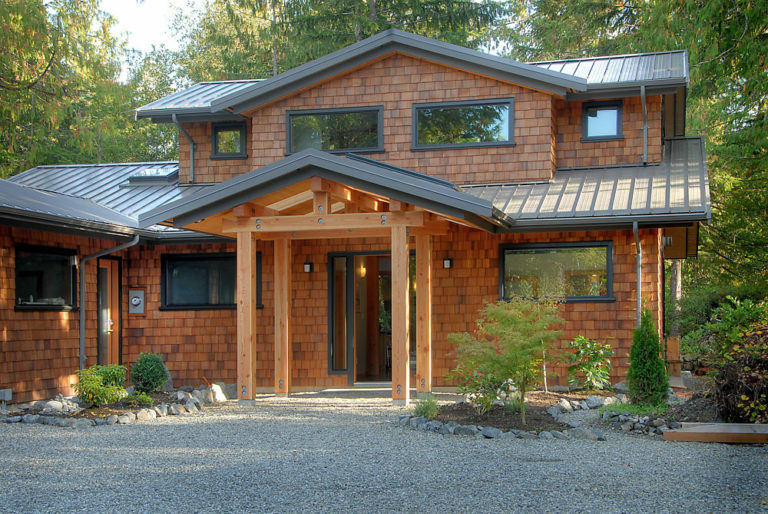 The Loft – Modern West Coast cabin for 2. A ten minute walk to Mackenzie Beach. The main floor is open concept, offering a living room with seating area, and a kitchen with a mini fridge, two burner hotplate and toaster oven. The upstairs loft bedroom features a queen bed with quality bed linens, and a TV with DVD player. One of the highlights of this unique rental is the private outdoor custom shower. Sleeps 2 guests.